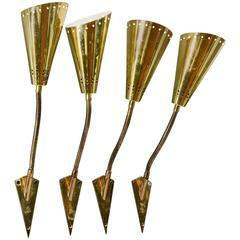 These amazing sconces will become the focal point of any room it's placed in. It's a bit Steampunk, Adams family and the nightmare before Xmas rolled into one. All the joints including four on each brass finger are articulated and can be posed any way you like. 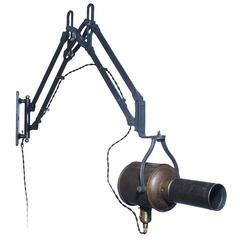 The lamp is 43" from the heavy solid steel base to the tip of the brass fingers. This is a one-of-a-kind works of art produced by Eren Berg Studios and is signed on a brass plaque. 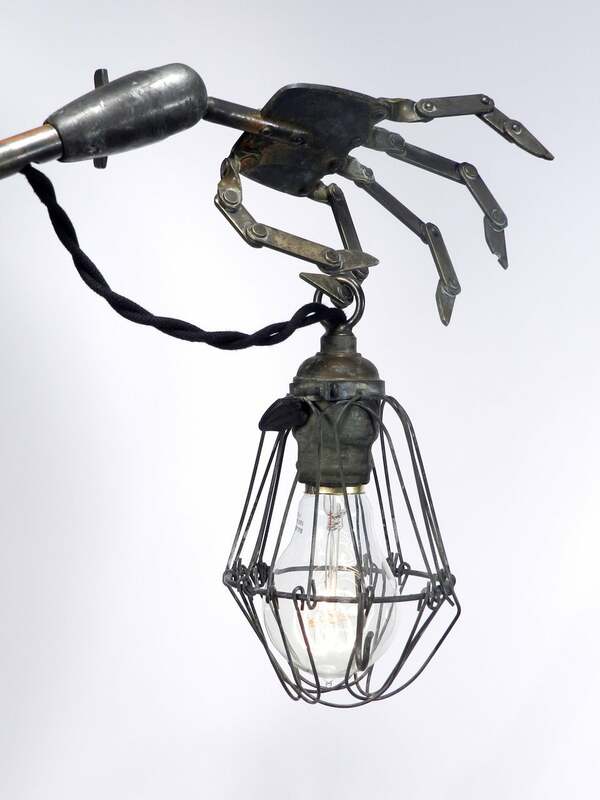 It uses many antique parts including an Industrial arm with ball joints and a unique skeletal wire shade and socket. 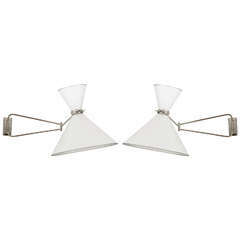 Pair of sconces by Lunel in polished nickel. 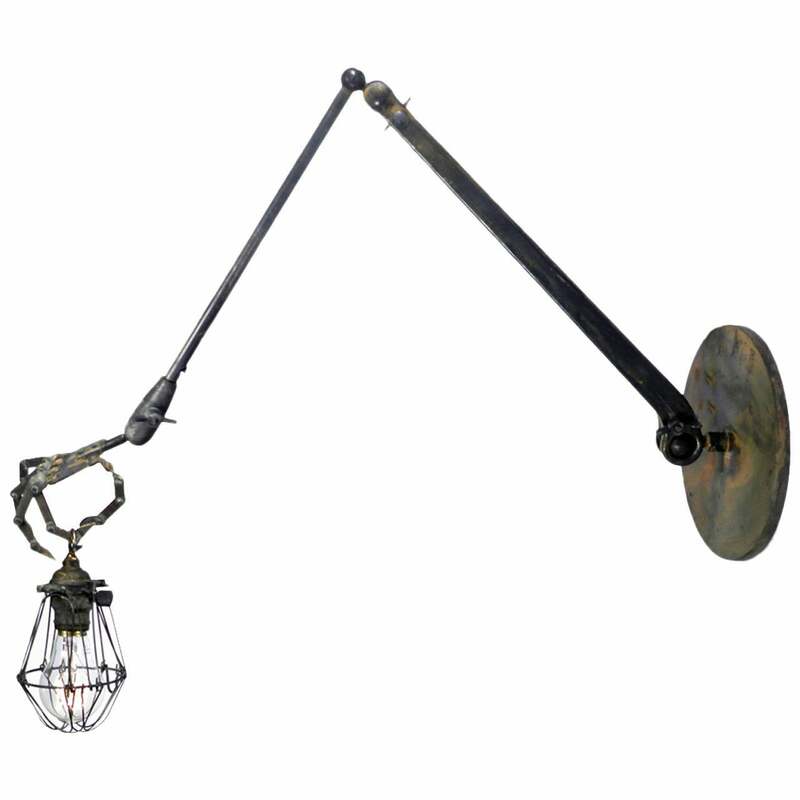 Articulated double shades with two bulbs. 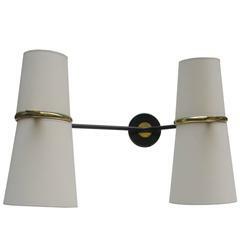 Pair of classically designed French sconces updated with articulations. 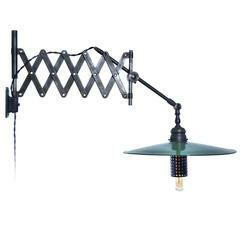 The sconces can hold a variety of angles and positions. Refinished brass with silk shades. 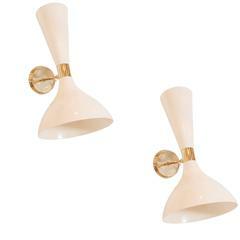 A pair of modernist articulated wall sconces. Designed by Maison Lunel. Black enamel and patinated brass. 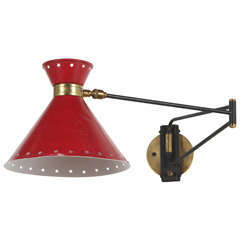 Pair of articulated brass sconces with enameled metal "trumpet" form shade. 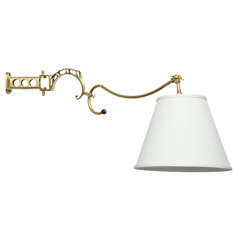 Articulated sconce in the style of Stilnovo. 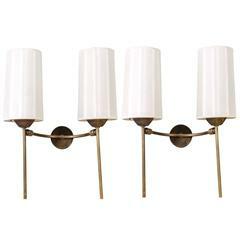 Set of four wall sconces made of an articulated arm and a perforated cone. Very original pieces with their moving arms.